Hi all. I LOVE the boards here! A little background...I've been straightening my hair for almost 10 years and only wearing it curly when I'm feeling lazy. Now, three children later, I need to go natural and what takes the least time. My hair has always been real funny. Straight in some places curly in others. High humidity days it hangs in ringlets, low humidity just a wave. It is so extreme from one day to the next I never know what to expect. I bought curl keeper and love it as it helps me get two days of curls. I want a haircut that will help it curl and I'd also like to know what you ladies think I could do to improve the curl. I know straightening has put a lot of strain on it but I'm hopeful it'll turn back to the way it was in high school. It is currently right above my shoulder and I'm desperately trying to grow it out. TIA!!! Wow no one has any ideas?? First off, you need to determine your hair properties. Here's a link to help. http://www.livecurlylivefree.com/ Once you determine your properties, you can look for people with hair like yours and see what they use (in signature.) It's the best way to start. Your hair is pretty typical of curly hair. When I started on nc.com, I was a winter wavy/summer 3a. Now my hair looks like my signature picture every day. It's all about the protein/moisture balance, finding the right products and using the right techniques. Unfortunately, it's trial and error and you have to find what works for you. As far as a haircut goes, layers will maximize your curl. That and getting all the heat damaged hair GONE. Your hair looks like mine! How about sticking with that bob until it grows out? 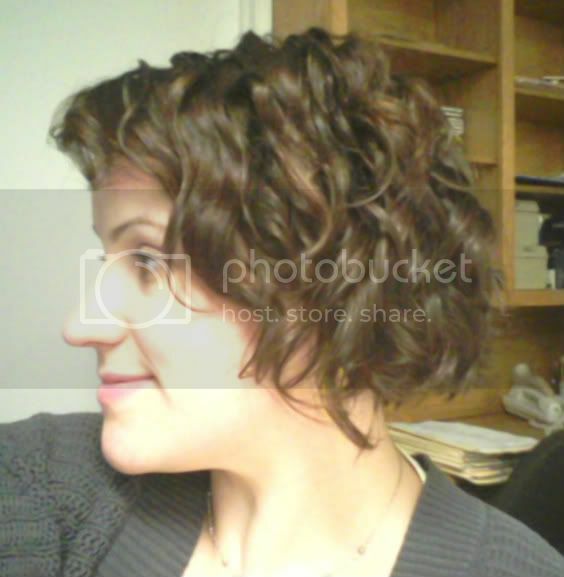 I haven't cut my bob in many months and it still looks ok.
2B, medium? normal porosity and elasticity? I live in the NYC area.